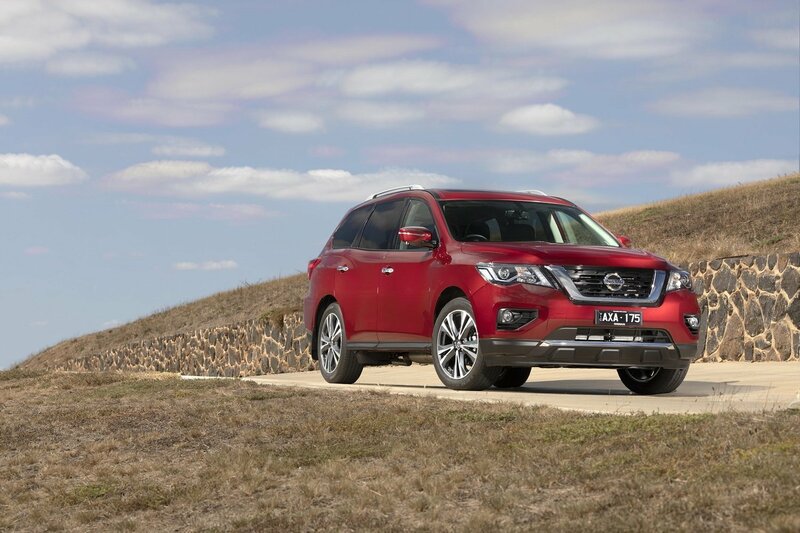 THE iconic Nissan Pathfinder is safer than ever before thanks to the inclusion of more Nissan Intelligent Mobility technologies on the base ST grade, and additional tech features on other variants; including rear door alert. The entry-grade Nissan Pathfinder ST has been strengthened with the introduction of factory-fitted intelligent emergency braking with forward collision warning, blind spot monitoring, rear cross traffic alert and intelligent cruise control as standard. A Type C USB point is also now included in the second row for added convenience. Nissan is also expanding the range, with an ST+ grade – that sits between the ST and the mid-spec Nissan Pathfinder ST-L, adding an around view monitor and SatNav. The mid-spec Nissan Pathfinder ST-L already has all of the aforementioned equipment as standard, but now adds adaptive LED headlights with auto-levelling, while the range-topping Nissan Pathfinder Ti gets rear door alert and heated rear seats. Rear Door Alert – a first for Nissan in Australia – is designed to notify the driver if children are left unattended in the vehicle. Engaged when the rear doors are opened and closed before your journey, once the car is turned off a warning message appears on the Advanced Drive-Assist Display ADAD) to prompt the driver to check the rear seat. If the driver walks away from the car – or locks the car – without opening a rear door the horn will sound three times and the ADAD screen will display a warning to check the back seat. This technology, and/or the horn, can be turned on and off as desired. Boasting a powerful 3.5-litre V6 petrol engine, the Pathfinder has 202kW of power and 340Nm of torque and is fitted exclusively with an Xtronic Continuously Variable transmission, with a choice of two-wheel or four-wheel drive. Fuel economy figures start from an improved 9.9-litres/100km, and there is also a hybrid option, featuring a supercharged 2.5 litre petrol engine paired with a 15km electric motor with 188kW of power and 330Nm of torque available. The Nissan Pathfinder stores 2,260 litres of rear cargo with all seats folded, and has an array of tech, including Bluetooth, USB ports, a rear view camera with predictive path technology, rear parking sensors, and an 8-inch colour touchscreen infotainment system. Priced from $43,390 plus on roads for the base ST, while the ST+ kicks off at $44,590 and the ST-L starts at $53,890. The range topping Ti starts at $62,890, up to $69,390 for the Ti 2.5L Hybrid 4WD. All prices are plus on-road. The Nissan Pathfinder is available in seven contemporary colours, with three interior trim options.